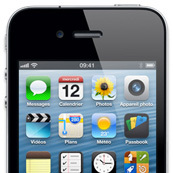 Apple’s iPhone 4 dazzled consumers and critics back in 2010 with its redesign and the introduction of its crystal-clear retina display. The screen sings with color, perfect for viewing pictures. However, the smartphone’s embedded 5-megapixel camera struggled to tap down color defects, which prevents iPhone 4 users from fully appreciating the device’s high-resolution retina display. The mobile’s camera produced strong color shading in fluorescent lighting and sometimes even in outdoor conditions. Under dim tungsten lighting, the iPhone 4’s white balance produced a reddish color spread across the image. These color shading problems were also transferred to the device’s video. But all was not lost for the iPhone 4. It paid good attention to details under good even lighting. It also had an accurate video autofocus in most light scenarios – many smartphones can’t say the same. Good detail preservation under bright and even lighting. Pleasant colors in most outdoor environs. Trigger autofocus is accurate, even in low light. Pronounced color shading under fluorescent lighting, and sometimes in outdoor shooting. White balance creates a reddish cast in dim tungsten lighting. Unpleasant luminance noise, particularly in low light. Vulnerable to an unacceptably bad jello effect. Details are dull compared to competing HD mobiles. Noise is not well controlled in dim lighting.